The Reign of Nepotism has come to an end. I reported yesterday that the Knicks were considering waiving Chris Smith, and indeed, the organization has officially decided to set J.R. Smith’s brother free to live amongst the wolves in the forest. 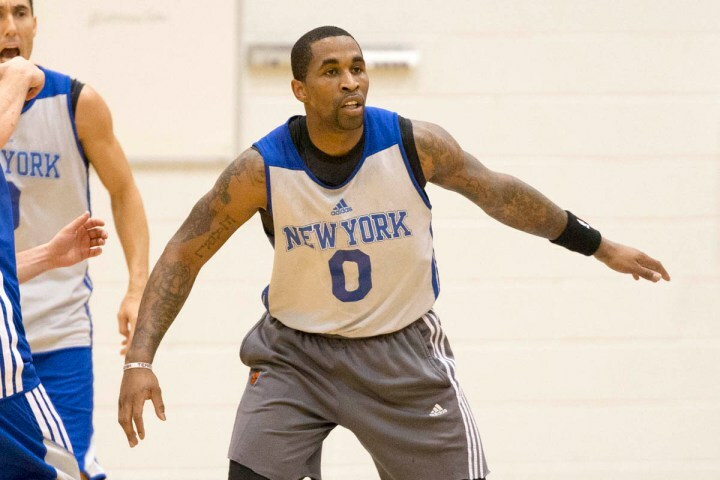 The Knicks are now closing in on a deal with Jeremy Tyler, who has flown to New York to hammer out a contract. It will be interesting to see whether Tyler gets minutes (he should, and you have to assume he will, but you never know with Coach Woodson’s rotations). It also remains to be seen what will become of Cole Aldrich, the young center who has ridden the bench all season. If Tyler is being brought up to sit on the bench with Aldrich, well, that makes no sense. If Tyler is being brought up to play over Aldrich, it might make sense to release Aldrich to sign a guard. Either way, the Knicks cannot afford to waste roster spots on guys who do not play. They seem to be acknowledging this by releasing Smith. UPDATE: The Knicks have signed Tyler. This entry was posted in Articles and tagged chris smith, cole aldrich, jeremy tyler, jeremy tyler knicks, jr smiths brother, KNICKS, KNICKS MEMES, Knicks news, knicks release chris smith, knicks rumors on December 30, 2013 by Tommy Rothman.